Choose your tour to Bhutan with our specialized tours. Cultural tours offer a unique insight into the history, culture and tradition of the nation. It is an opportunity to interact with the native people. The highlights are Tsechus or annual festivals where Buddhist teachings are enacted through mask dances. Festivals in Bhutan are rich and happy expressions of its ancient Buddhist culture. Festivals are annually held in every Dzong (fortress) and monasteries, the most popular attraction for tourist. Trekking in this Himalayan kingdom is one of the most wonderful experiences a visitor can have. It is quite different from other parts of the Himalayas. The country ranges from the dense forest of subtropical jungles to the alpine shrubs, endowed with a wide spectrum of Himalayan flora and fauna. Getting to Bhutan is easy and little tricky sometimes. It’s easy because we have flight connection from various cities in the Indian subcontinent and its little tricky because the number of flights are limited, the aircrafts are small and can ferry only little passengers at a time. Its important that you first check the flight schedule of the flights in Bhutan before buying your international airline ticket(s). You can fly to Bhutan from India (Delhi, Kolkata, Mumbai, Bagdogra, Gaya), Kathmandu (Nepal), Bangkok (Thailand), Myanmar and Bangladesh. There are daily flights from Bangkok to Paro and vice versa while there are no daily flights from other cities. Please check with us for the flights from other cities or google druk air and Bhutan airlines to check their flight schedule. Two airlines Druk Air and Bhutan airlines operate in and out of Paro international airport everyday. You can drive overland to Bhutan through the southern Bhutan border town of Phuntsholing via West Bengal (India) or through Samdrupjongkhar in east Bhutan via Assam (India). Bhutan has one international airport in Paro and three domestic airports one each in Bumthang, Yonphula and Gelephu. Paro international airport is situated at an elevation of 2,200 meters and has a runway of little over 1.9 km. Paro International airport is situated in a deep valley thus making all landings spectacular with the wings of the plane almost kissing the mountains. Bhutan doesn’t have any trains. The nearest train station is across the border in Hashimara in India. Hashimara is 18 km away from the Bhutan border town. Most Indians prefer to take a train ride to this train station and then drive to Bhutan. For Indians early morning arrival is preferred as they can cross the border and drive to the capital of Bhutan the same day. Getting to Bhutan during popular festivals will be difficult if you don’t plan your holiday in advance and if you don’t buy the airline tickets in advance. Online Regional Permit System In order to streamline and facilitate smooth visitation by tourists from Bangladesh, India and Maldives, the Department of Immigration, Ministry of Home and Cultural Affairs and the Tourism Council of Bhutan have launched the Online Permit System. The system facilitates the online processing of permits for regional tourists through registered Bhutanese tour operators and TCB certified hotels. 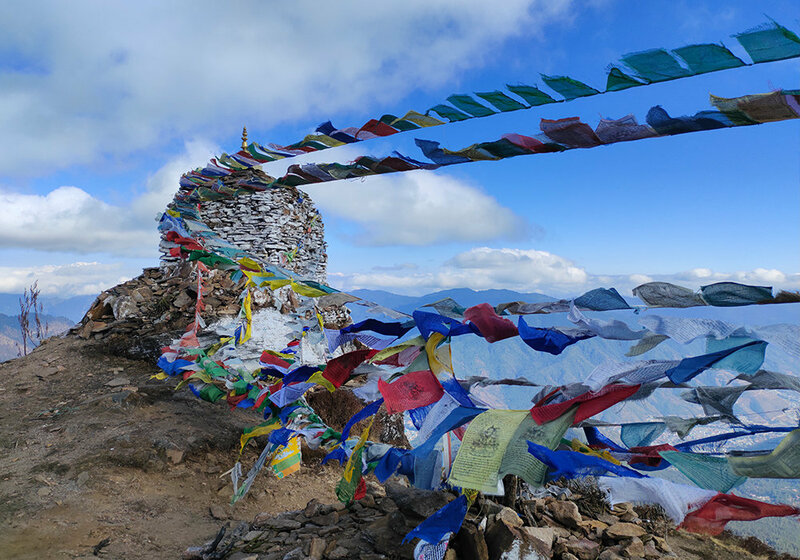 The facility is offered as an optional channel to process permits for visitors from the region and is applicable for entry from Paro and Phuntsholing. Visitors who use this facility will be able to obtain their permit clearances and route permits ahead of their arrival in Bhutan similar to international tourists. Select the tour operator that will be arranging your tour to Bhutan. Work out your itinerary with your selected tour operator. Based on the itinerary the tour operator will calculate the amount you must pay (tour payment) in advance. The tour operator will complete your visa application but you must send them a clear, scanned copy of passport. Visa will normally be processed within a maximum of one week's time. Your tour operator will email you a copy of the approval of your visa once your application has been approved. There are comfortable hotels, lodges and guesthouses at tourist destinations. Western Bhutan has better hotels while in central and eastern part of the country, accommodation establishments are simple and offer minimum facilities. There is no star categorization of hotels and five star luxuries are not available. Bhutan Dynasty Travel has carefully selected the list of accommodation units with the best of location, service and ambience. Away from the towns and villages there are purpose-built huts on some of the principal trekking routes. Otherwise, there is nothing like camping out under the clearest night skies that you have ever seen. Wherever you spend the night, the warm Bhutanese hospitality will make you feel welcome. Bhutan Dynasty Travel is escorted by well trained, knowledgeable guides, Certified by Tourism Council of Bhutan. Bhutan Travel Planner has English, German, Japanese and French speaking guides. The services of Italian, Spanish, German, Russian-speaking guides could also be provided with prior information and on additional cost. • A minimum of 3 star accommodation (4 & 5 star may require an premium payment). If we were to choose from several things in Bhutan, we would choose seven things to do in Bhutan. There are endless activities and places to visit. From several activities we would recommend seven things to do in Bhutan.